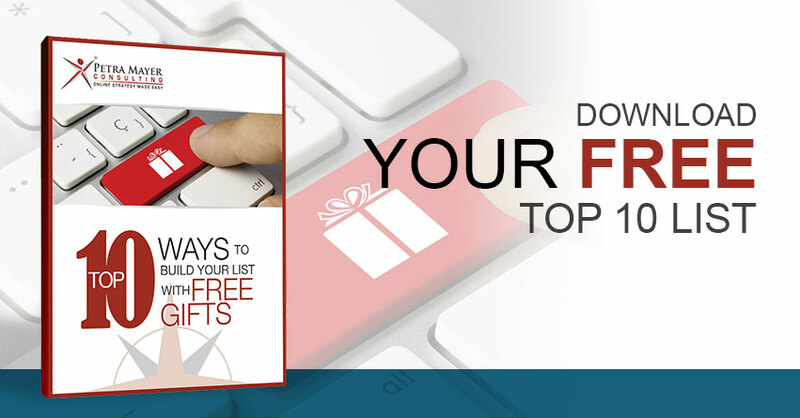 Find out about the many options to attract your loyal fans with free gifts. Download your free report. Using my combined approach of coaching & consulting, receive clarity on specific strategies you need to take your business to the next level – and avoid a huge learning curve. Launch Your First Online Course! Follow my proven 5-step process to get clear on your business strategy and create online programs to expand your reach to a wider audience. Are you a company or organization or an eLearning agency in need for a team member? Contact Petra for your needs with your training program. Relief is here! 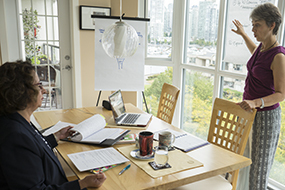 This business strategy deep dive with Petra is a one-on-one personalized program that will help you get the clarity and clear action planning you need to grow your business. Petra’s extensive project management experience for large-scale IT and web development projects can assist your digital team in formulating and fulfilling your strategic online marketing plan. Ask Petra to speak to your audience where she can help bridge the gap between heart-centered entrepreneurs and technology. Choose from a variety of topics that fit your group.